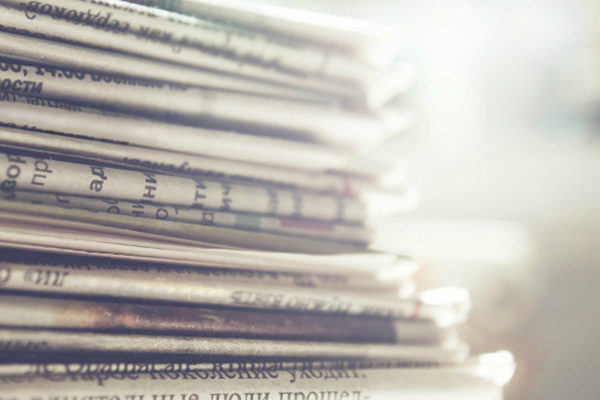 To submit an idea for an article or to bring news to our attention, please contact Kayla McCarson, Director, Marketing & Communications, at 775-753-2105 or by e-mailing Kayla. 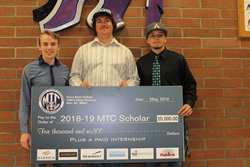 The Maintenance Training Cooperative (MTC) will award 85 students with the MTC scholarship and paid internship for the 2018-19 school year sponsored by local industry partners. 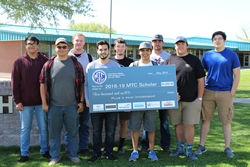 This year marks the twenty-fourth year since the MTC Scholarship program was established in 1994 by a group of northern Nevada mines and Great Basin College. The goal of the cooperative, then, still holds true for the education and industry partnership today; grow our own workforce. 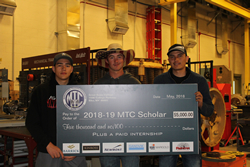 The MTC program offers students a $5,000 scholarship and paid internship at a local mine or contractor while completing a certificate or degree program in electrical systems, diesel, instrumentation, millwright and welding technologies at GBC. 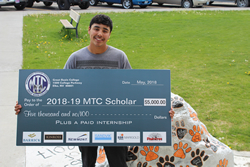 Companies sponsoring students this year include Barrick, Kinross, Newmont, Raintree Construction, Sandvik, and SSR Mining. Students attend their choice of morning, afternoon or night classes Monday through Thursday, and complete their internship hours on Friday and Saturday. The interns earn about $20,000 in wages at their respected internship during the school year that helps students pay for most, if not all, expenses while completing their program. GBC staff and representatives from the sponsoring companies begin the recruiting process every March. The recruiting process is broken down into 3 phases; pre-screening day, interviewing day and draft day. Newmont Maintenance Trainer Manual Villanueva said the group has developed a pre-screening scale that weighs students’ GPAs, test scores, work history and involvement in extra curricular activities. Sandvik Human Resource Generalist Kristopher Garcia said during interviews representatives from Sandvik look for students who fit with the company. “For us, it’s not so much about work history or skills as much as it is about an interest and fit with the company. We don’t mind being the ones who teach students the skills they need to be a part of Sandvik,” said Garcia. Dean of Business and Technology Bret Murphy said the longstanding success of the program has been recognized by other colleges that are interested in establishing similar scholarship programs. 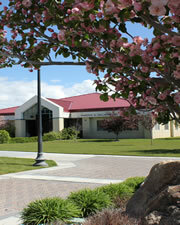 A majority of applicants attended high school and live in GBC’s area of outreach of northeastern and rural Nevada. 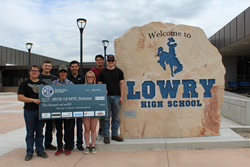 Seniors from Battle Mountain, Carlin, Elko, Eureka, Churchill County, Fernley, Lowry, Round Mountain, Wells, Wendover, and White Pine high schools are all recipients of the scholarship this year. The program is also awarding a number of scholarships to students from Las Vegas and Reno, and a number from out of state. 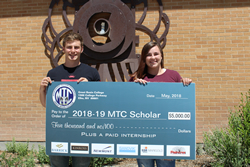 Murphy attributes the prevailing success of the MTC program to the sponsoring companies. 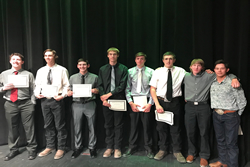 ELKO: Jose Martinez, Hayden Tsunemori, Mason Hersey, Isaiah Salazar, Trevor Bruch, Damin Marin, Fabian Luna, Travis Paul, and Victor Carrillo.